Public health is a historically conscious discipline. History figures centrally in many module’s introductory lectures taught as part of the MSc in Public Health at the LSHTM. There is a dedicated History and Health Module available to students studying in London and at a distance. The history of public health, as any member of the Centre for History in Public Health can tell you, is a diverse and exciting topic. And yet, despite our best efforts to expand and enrich our understanding of public health in the past, there are certain stories, myths even, about the history of public health that tend to dominate wider conceptions of public health history. 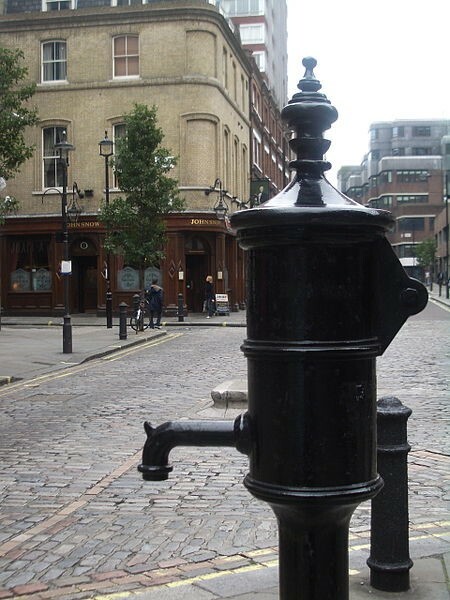 The most prevalent of these surrounds John Snow and the Broad Street pump. 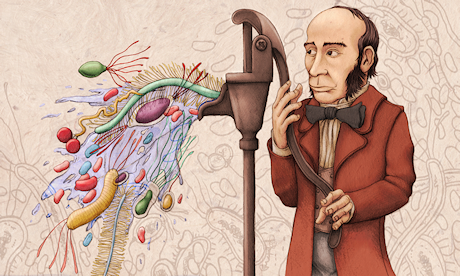 The story goes that in the mid nineteenth century Snow hypothesized that cholera was a waterborne disease. During the 1853-4 outbreak, he identified a single water supply as the source of the disease in Soho. Snow got the handle of the water pump on Broad Street removed, and mortality subsequently fell. As a result, John Snow has become something of a hero of public health history. 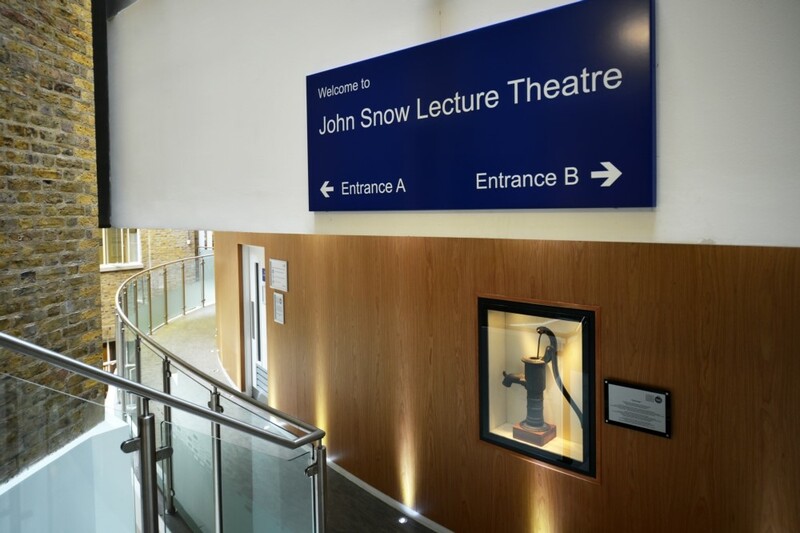 When a new lecture theatre was built at the LSHTM, it was named after John Snow. We even held a birthday party for him in 2013 to celebrate the bicentenary of his birth. Now, I must confess that this provoked a certain amount of eye-rolling from the historians. In part, this is because whilst Snow was important, there is some debate about exactly how important. As Tom Koch as demonstrated, Snow did not single-handedly prove that cholera was waterborne. Snow’s work was partial and not all that well-executed. The notion that cholera was waterborne grew out of and was developed by a wider community of science. Indeed, some have questioned whether Snow was really the first person to correctly identify contaminated water as the source of cholera: there have been some suggestions that he was simply a better self-publicist! The John Snow Lecture Theatre. And the Broad Street Pump. If that’s correct, then Snow’s ability clearly extends well beyond his death, as this is a very familiar story. Despite there being almost a cottage industry amongst historians, geographers and epidemiologists in attempting to debunk various John Snow legends, these persist. But, in our grumbling perhaps we miss the wider point – here is a story with ongoing cultural resonance. Well, to begin with Koch’s argument, the idea of the lone scientist, right when everyone else is wrong, battling against the establishment, is a powerful myth. But I think there are a set of other reasons too, and these point to some interesting dimensions of the more recent history of epidemiology, public health and the public’s understanding of these. The glorification of John Snow is certainly not a new phenomenon. JP Vandebrouke and colleagues suggest that John Snow’s work was ‘rediscovered’ by the American epidemiologist WH Frost in the 1930s. They suggest that Snow’s work fitted well with the bacteriological paradigm of the times and offered a neat, clear historical example with which to instruct students. This might help explain the enduring place that Snow occupies in introduction to public health and epidemiology courses around the world, but I think there’s a broader cultural legacy at work here that surrounds nineteenth century public health. For instance, public health exhibitions held during the post-war period often harked back to the nineteenth century. Displays depicted the progress that had been made: improvements in living conditions, falls in infant mortality, the defeat of infectious disease. There was a perceived need to transmit confidence about the future, about public health’s ability to overcome significant challenges facing country at the time. A neat narrative of progress was comforting – we did it in the past, so we can do it again. But this was also a time when the role of public health practice and theory was uncertain. The effects of the epidemiological transition were starting to be felt. Public health had successfully (or at least mostly successfully) overcome infectious disease, how was it going to deal with chronic conditions? Would the pre-war approach offered by social medicine be developed in the post war period? There were no clear answers to these questions. Instead, the apparent victory over infectious disease and the improvement of living conditions in the nineteenth century offered a reassuring degree of certainty in very uncertain times. Of course, this was not something peculiar to Britain in the immediate post-war period. As we’ve seen, myths about nineteenth public health and the relative importance of people like Snow continue. This is because they still carry weight, both in terms of our assumptions about the past, and the present.